(CNS): January 2010 could be the month that the police finally get their long awaited helicopter. Despite endless delays regarding the arrival of the crime fighting machine, a police spokesperson has confirmed that it is scheduled to arrive this month. 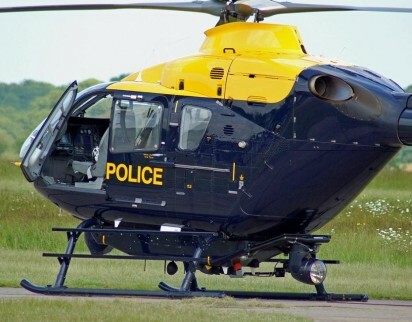 Well over three years after the decision was made to purchase a helicopter for the RCIPS was first made and a considerable amount of controversy later, the police could be fighting crime from the skies on a regular basis if the machine does in fact leave Louisiana, where it is currently being stored, as expected. Last month the Central Tenders Committee ran a series of advertisements both locally and overseas for piloting services, with a submission deadline of noon on Friday, 22 January. During the last meeting of Finance Committee in October 2009, Deputy Chief Secretary Franz Manderson explained that, while the helicopter had at that time been expected to arrive in September 2009, it was delayed because of difficulties regarding the maintenance contract. It is not clear if a contract for servicing in the helicopter has yet been awarded or if the CTC has received any suitable bids regarding piloting services. Nor is it clear if the helicopter has been retrofitted, since it was purchased from a British police service in 2007 for CI$1.8 million to meet Civil Aviation Authority regulations. The ongoing saga of the police helicopter began at the start of the PPM’s administration when they increased the police budget by $50 million which included covering the cost of a dedicated police helicopter. However, as the process moved forward the needs of the police and the desires of the Cabinet about what the helicopter should do came into conflict. In September 2008 the government accused the former police commissioner, Stuart Kernohan, of misleading them about the machine he had bought and what it could and could not do. Kernohan, who was at the time suspended from office as a result of Operation Tempura and off-island, countered the accusations in a public statement saying government was fully aware about the capabilities and details of the helicopter that had been bought, and every day that the helicopter was delayed was a good day for the bad guys. Following the dispute Auditor General Dan Duguay then conducted a special report on the machine’s purchase, which concluded that there had been mis-communication between police and Cabinet over the helicopter’s role, and he noted that the money budgeted for it was nowhere near enough to cover a machine that could do police work as well as search, rescue and emergency airlift. Duguay recommended that government asses the cost to modify the helicopter or cut its losses, sell it and start over, but this time with a clearer understanding of what was needed. Nine months later, however, Duguay stated at the August PAC meeting that he was dismayed that nothing had been done and the helicopter was still sitting in a hanger in Louisiana with a question mark over its future. The new commissioner, David Baines, told PAC that the chopper could work and that it was time to bring the machine over and start using it. Despite that promising development, the helicopter is still in the US and the RCIPS continue to depend on Cayman Helicopters when they are in need of air support. (BBC): Dating and social network siteBeautifulPeople.com has axed some 5,000 members following complaints that they had gained weight. The members were singled out after posting pictures of themselves that reportedly showed they had put on pounds over the holiday period. The site allows entry to new members only if existing members vote them as sufficiently attractive to warrant it. The US, the UK, and Canada topped the list of excluded members. The site has always been unrepentant about its selection process, calling itself "the largest network of attractive people in the world". (CNS): The RCIPS has said that over $1000 of damage has been done to a police speed trailer over the holiday weekend. Sometime between Thursday 31 December 2009 and Monday 4 January 2010 rocks were thrown through the screen of the speed trailer which was parked in South Sound Road close to South Sounddock, causing substantial damage, police said today (Wednesday 6 January). The trailer has a large screen which flashes the speed of each vehicle travelling on a specific stretch of road as well as the speed limit and is used mainly as a tool to remind drivers to watch their speed and stay within the limit. Inspector Adrian Barnett of the RCIPS traffic department said the trailer had obviously gotten under someone’s skin. “It looks like the fact that the trailer highlights when people are breaking the law has really upset someone,” he observed. However, the traffic officer warned that this would not prevent the police from keeping up the campaign to have drivers obey the traffic laws. “But don’t worry my message to the law abiding public of Cayman is clear. The loss of this machine will not deter us from making sure that we continue to make Cayman’s roads safer and educate drivers on the need to drive at appropriate and safe speeds,” Barnett added. The traffic department has confirmed that it has a number of other trailers which will continue to be placed at strategic locations across the islands. Anyone with any information about this crime should contact the RCIPS traffic department on 946-6254 or Crime Stoppers 800-8477 (TIPS). (CNS): With the rise in violent crime at the forefront of the community’s collective mind at present, the recent graduation of thirteen police officers from the classroom to the streets last month was a welcome boost to the ranks of the Royal Cayman Islands Police Service. During their graduation ceremony, Acting Governor Donovan Ebanks reminded the recruits about the need for humility towards the community but also not to give a free pass to anyone who was breaking the law, whether it was friends, family or people in high office, including himself. He told them if they saw him breaking the traffic law then they should pull him over, but he also warned them that if he in turn saw them exploiting their position he would point it out. Ebanks warned the new police officers, who took to the beat just before Christmas, that they also needed to exercise humility not flaunt their authority. Ebanks said the RCIPS had to work hard to address the image that many people had of officers breaking the traffic laws while at the same time ticketing civilians at will. He noted that it was essential that the officers act in a professional way all the time and show respect to the wider community. “The fact that you are a police officer doesn’t mean you can do things you wouldn’t otherwise do,” Ebanks added. However, he commended the new recruits for joining the ranks of the contributor instead of the complainers, which were on the increase recently. “You won’t find great wealth in the RCIPS but if your calling is to be of service; you’ve made the right decision,” he said. During his short address Ebanks also offered his support to Police Commissioner David Baines. who has now been in post for six months, and said he thought he was doing a good job so far. The graduation took place at Harquail Theatre on 18 December, when the class of eight men and five women were presented with their graduation certificates by Baines, having successfully completed 14 weeks of intensive class work, physical training, law studies and exams to graduate as operational officers. The officers then took to the streets to begin the on-the-job element of their training on 21 December. 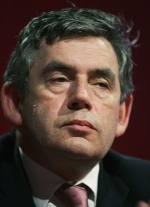 (BBC): Two ex-cabinet ministers are calling for a secret ballot on Gordon Brown’s leadership, only months before a general election must be called. Patricia Hewitt and Geoff Hoon have written to Labour MPs saying the issue must be sorted out "once and for all". They said the party was "deeply divided" and without a ballot there was a risk "grumbling" would continue. Downing St said Mr Brown was "getting on with the job" and minister Chris Bryant called it "self-indulgent". Senior Labour sources told the BBC the move was "completely unconstitutional" although another Brown critic, Barry Sheerman, said a vote could be held at next Monday’s weekly meeting of Labour MPs in Parliament. (CNS): For almost two weeks now commenters on the CNS website have been calling for the return of former Chief Superintendent Derek Haines to the RCIPS. While Haines has often been hailed by a significant number of those who regularly comment on the site, the surge in violent crime over the Christmas week let to a groundswell of support for the former distinguished senior officer. As a result CNS contacted the RCIPS senior management to ask whether consideration was being given to finding a place for Haines but were told that they felt it was inappropriate for them to comment. Haines has made no secret of the fact that he would return to the RCIPS if the opportunity arose and last year he applied for the police commissioner’s post. However, despite being a decorated officer, having received the Queen’s Police Medal (QPM), Haines was never given an interview. Although flattered by the surge in support for him over the last two weeks, Haines told CNS that the question of his return was not down to him. Hainesremains a staunch support of the RCIPS and believes the community needs to get behind the service and support officers as they work hard to tackle the current rise in gun crime. Haines, who is currently Operations Manager at Dart Realty, Camana Bay, has more than forty years of service as a police officer in the UK and its Overseas Territories and served in the RCIPS for more than ten years. A prominent member of the community as a president of the Rotary Club of Grand Cayman and president of the Cayman Islands Rugby Club, Haines enjoys wide support and many say he was an exceptional officer. When he received his QPM award in November 2005, he was one of only three recipients. Haines’ departure from the RCIPS in January 2006 came only months after he received the top accolade and was a surprise to the community. There has never been a full explanation for why Haines’ contract was not renewed, an issue which has given rise to considerable speculation about why Stuart Kernohan, the former CoP at the time, chose to remove Haines. The support for Haines’ return in the last few weeks has come from a cross section of Cayman’s community, both expat and local. The common thread appears to be that people see Haines as being close to the community and someone that the public can trust in a time when violent crime has increased significantly. Described by commenters as incorruptible, a true patriot, honourable, hard working and someone who understands the causes of crime in Cayman, Haines has always been popular but it now seems that his support base is wider than ever. His return, however, would depend on a significant change in the current management. With the return of Chief Superintendent John Jones to his post following his 18 month suspension as a result of Operation Tempura, Haines’ former position is taken. Moreover, the RCIPS currently has surplus of deputy commissioners. Anthony Ennis, who was the only senior cop not to be removed from office as a result of the special investigation, is still serving in post. Rudolph Dixon, despite being found innocent of all charges brought against him by SPIT in November of last year, is currently facing a disciplinary investigation by the RCIPS. But he has not been dismissed ,although suspended, remains in the position of deputy commissioner. Since his arrival the new police commissioner, David Baines, has installed another UK officer, Steve Brougham, described as an intelligence expert, as an acting deputy commissioner. CNS has now started an online poll regarding the return of Derek Haines to the RCIPS.